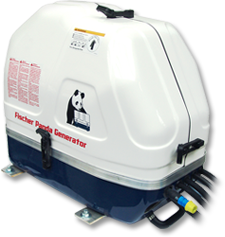 Fischer Panda in Germany have been manufacturing generators since 1977, Fischer Panda UK have been representing the product range from the early 1990's. Initially starting as an installer and supplier of marine generators we quickly realised that the modern day boater was aiming to be completely independent from marinas. 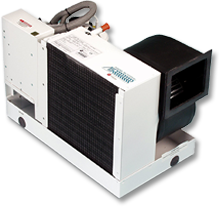 Our mission from that point was to offer the perfect system solution to our customers, therefore by adding Dometic Air Conditioning, HRO/Sea Recovery/Village Marine Water Makers and Mastervolt Power Electronics enables us today to offer you a complete independent package. Please explore below our Marine Range of Generators, Water Makers, Air-Conditioning, On board Mastervolt Power Electronics, Routine Spares and Electric Propulsion. 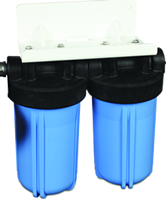 Fischer Panda Marine Generators are the ideal choice for both leisure and professional boating. Unrivalled for reliability and durability making them the factory choice for boat builders all over the world. 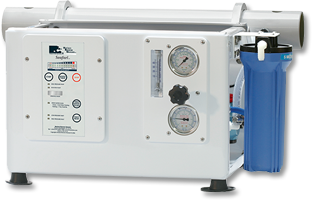 HRO, Sea Recovery and Village Marine have been the industry's most innovative and intuitive watermaker brands for the past 30 years. Trusted by the most prestigious leisure and commercial boat builders all over the world. Dometic Group is a world-leader of dedicated systems and equipment for pleasure boats. Even the most discerning boat owner would be impressed by the high quality of it's brands, Marine Air, Cruisair and Condaria. Mastervolt, the most respected name in the power electronics market, fully compatible with Fischer Panda generators. 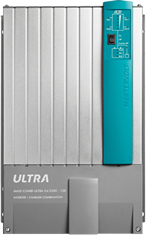 We offer an extensive range of high quality, reliable electronic products. Offering only genuine factory approved products the in-house dedicated spares team will offer you a 1st class service with discounted pricing all within an easy, quick and straight forward process. Fischer Panda have succeeded in bringing the advantages and possibilities of diesel electric drive systems from larger ships to smaller commercial and recreational vessels. 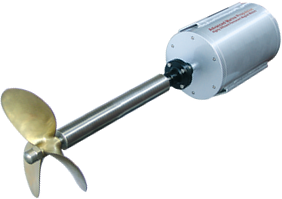 The Whisperprop drive system has shaft motor or aziprop drive options coupled with a highly efficient DC generator for extended range.